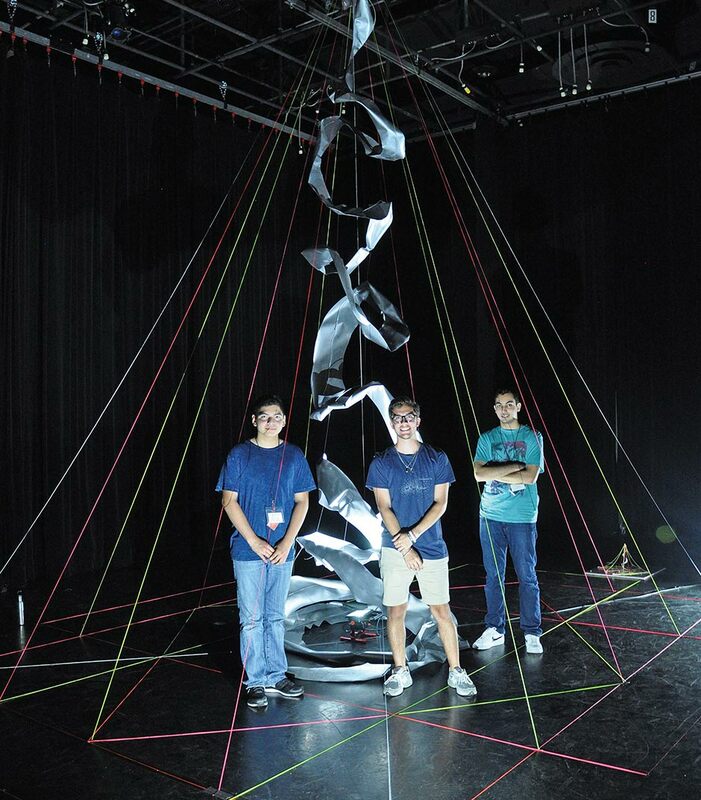 Summer@CAPPA is a weeklong summer camp for local high school students interested in architecture and interior design, hosted by the College of Architecture, Planning and Public Affairs (CAPPA) on the UTA campus. The students are treated to an immersive experience, staying in dorms and working in the studio daily. At the end of the camp, they produce an exhibition of group installations, showing the results of their work with two- and three-dimensional mediums. Dalton Tasset (center, with Christian Obregon and Fares Albakhit) says the experience strengthened his desire to become an architect. "I got to learn about the thinking process behind how a building gets created," he says. "There is an art behind it, an idea of a ‘wow factor,' and a connection between the person and the building." Summer@CAPPA is ideal for high school students interested in art, architecture, or any of the design arts, and who are ready to develop their creative potential.